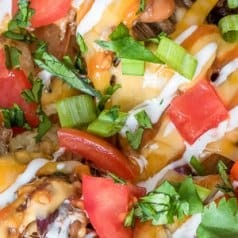 7 Layer Dip Totchos, taking classic 7 layer dip and tater tots to next level deliciousness! 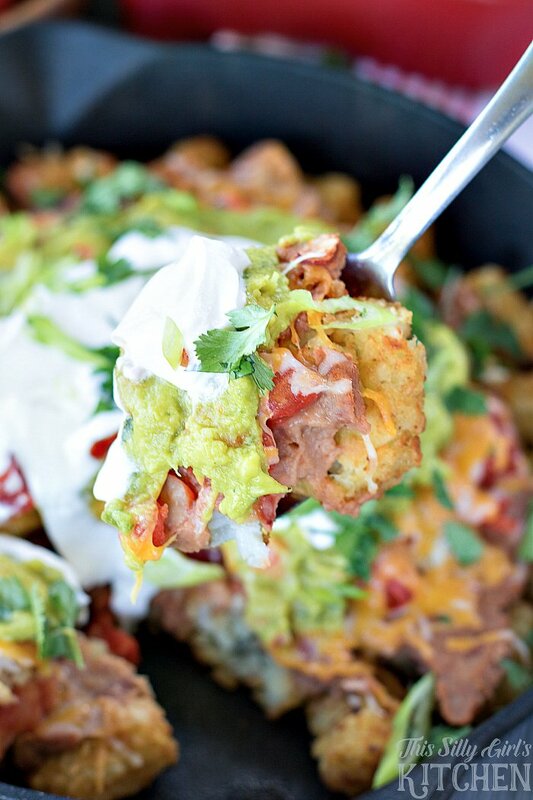 Totchos, like nachos but better! Just the title of this recipe should have you drooling already. 7 layer dip…. such a party staple! 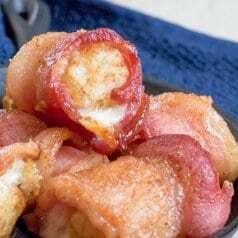 Combine that with tater tots and BAM, you have one epic appetizer… or full on meal! 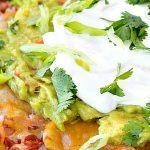 If you would rather not hear my super helpful tips and tricks, FAQ, and my overall awesomeness and get straight to this delicious totchos recipe – you can very easily scroll all the way to the bottom of this post for the full printable FREE recipe! Bon appetit. 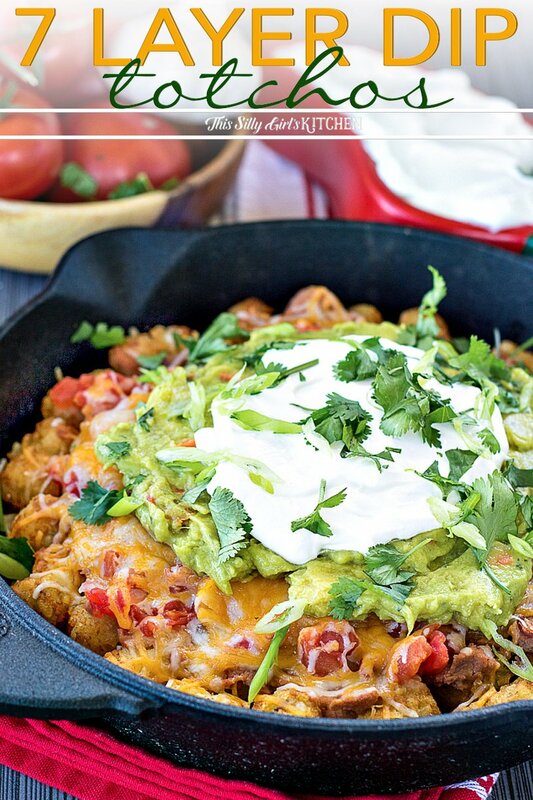 Totchos are basically just nachos but in place of the tortillas, we use tater tots instead! 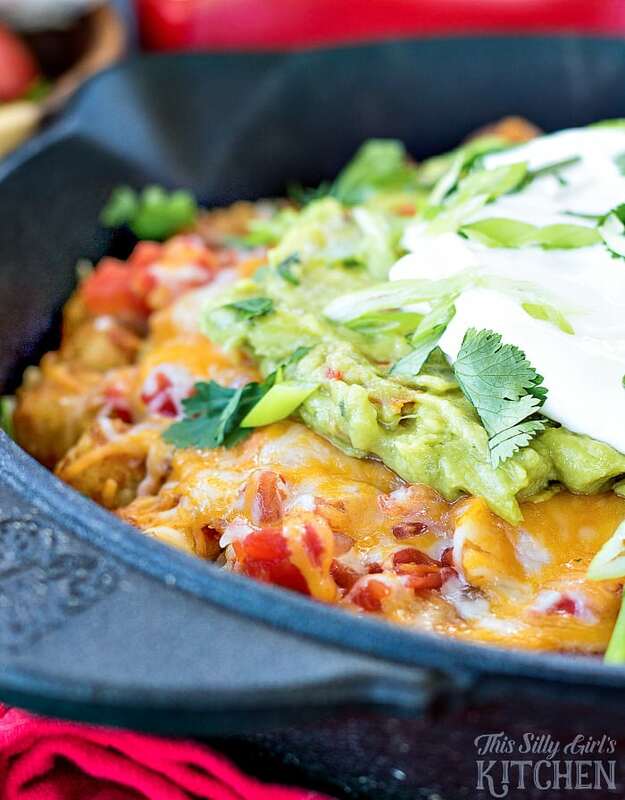 According to OregonLive.com, totchos originated in Portland, the birthplace of the tater tot! 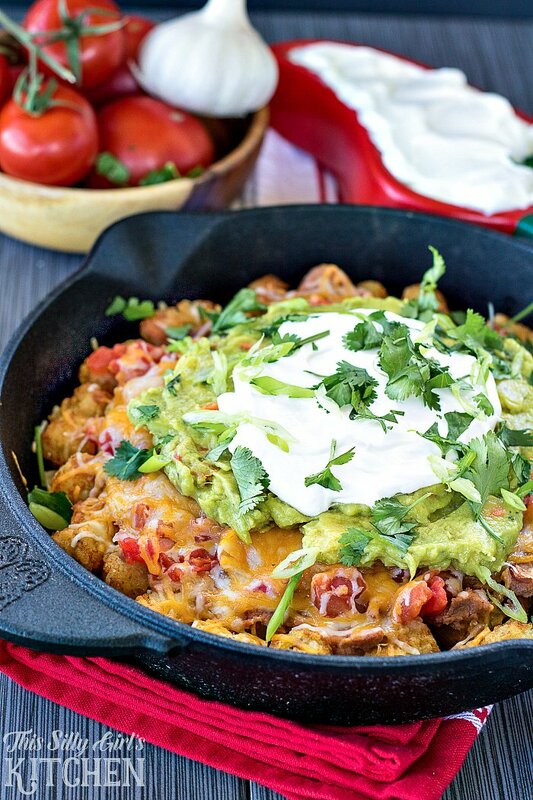 Just look at those layers, tater tots, refried beans, tomatoes, melty cheese, guacamole, sour cream, fresh chopped cilantro, and scallions… have mercy! Since we love to celebrate *Taco Tuesday* I really wanted to mix it up a bit. 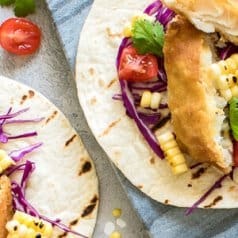 I know these aren’t tacos but with all that Mexican flair, you can’t go wrong! You can throw it all in a tortilla if you’d like, I’m not judging! Putting these totchos together is sooo easy! In a preheated oven, crisp up tater tots in a cast iron skillet or sheet tray for 20 minutes. Next, layer the goodies, beans, canned tomatoes, and cheese. Place back in the oven to warm through and melt the cheese. Add the garnishes next, guacamole, sour cream, scallions, and cilantro! Want to know a quick kitchen hack for piping perfect sour cream lines? Mix sour cream with a little milk until it is just a touch thinner. Place in a ziplock baggie, snip off a tiny tip of the corner and pipe away! I decided not to pipe my sour cream for this recipe just because I wanted each layer to really stand out. I also layered smaller and smaller circles on top of the tots so you could see each individual layer. It’s totally up to you how you serve yours! Yummmmm, words cannot describe how good this is! Preheat oven to 425 degrees. Spread out the tater tots in an even layer in an 8-inch cast iron pan (or oven-safe pan of your choice) Bake for 20 minutes. Smear the beans on top of the tater tots, add the tomatoes (drain it well or it will be too runny), top with the cheese. Place back in the oven for 5 minutes. Layer next the guacamole, sour cream and garnish with cilantro and scallions. Serve and enjoy! !